DuLinn. Los Robles. Lilly’s Chambers. When the Airbnb you’re staying in has a name, you know you’re in a special place. 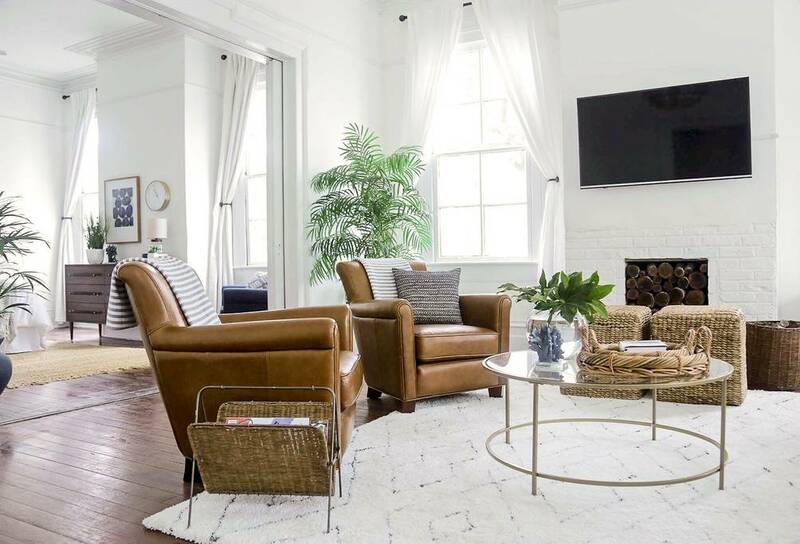 While Savannah, Georgia has many wonderful modern stores, bars, restaurants, homes, and businesses, it is classic Savannah that most visitors come here to see. 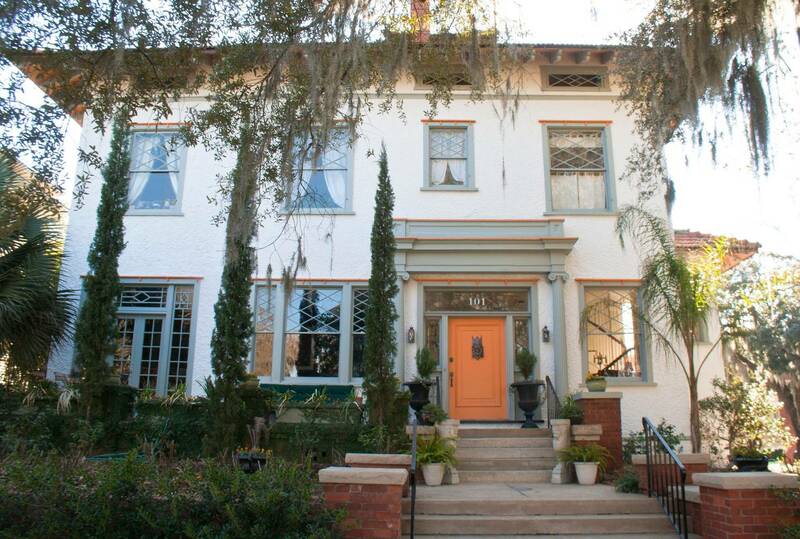 With that in mind, we’ve put together this list of 8 Classic Savannah Airbnb homes. From carriage houses to mansions to Victorian gems, these homes showcase all that traditional Savannah has to offer. 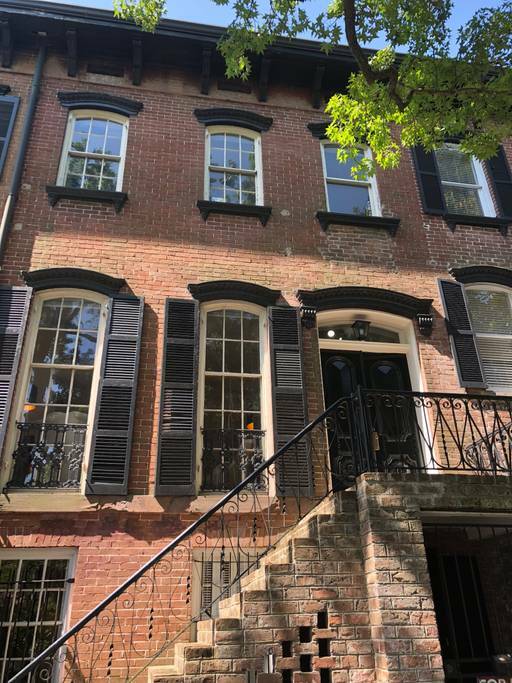 Dating back to the time of Thomas Jefferson, this four-bedroom, three-and-a-half bath home sleeps eight and with 4,200 square feet, not to mention a second available garden apartment, you’ll all have can all have more than enough room. 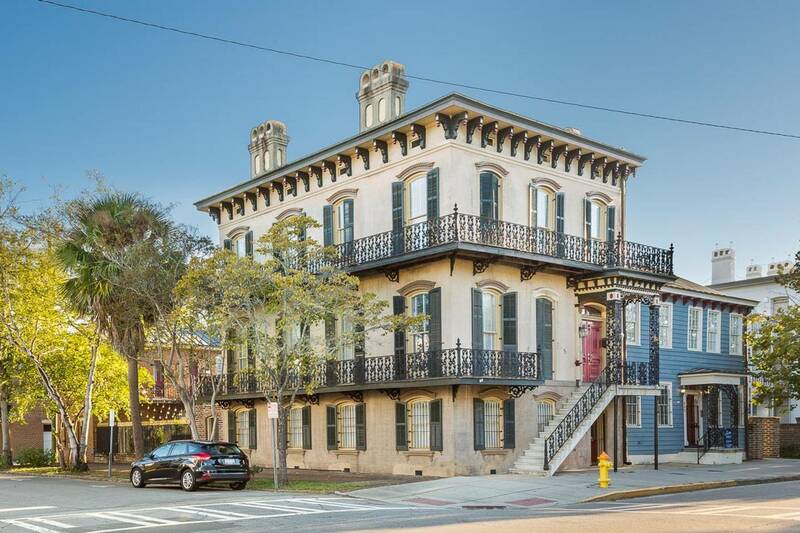 A five-minute walk from River Street, this classic home is known as The DuLinn and is close to many major attractions including the Telfair academy, the Ships of the Sea Maritime Museum, the First African Baptist Church, and the Jepson Center for the Arts, among others. 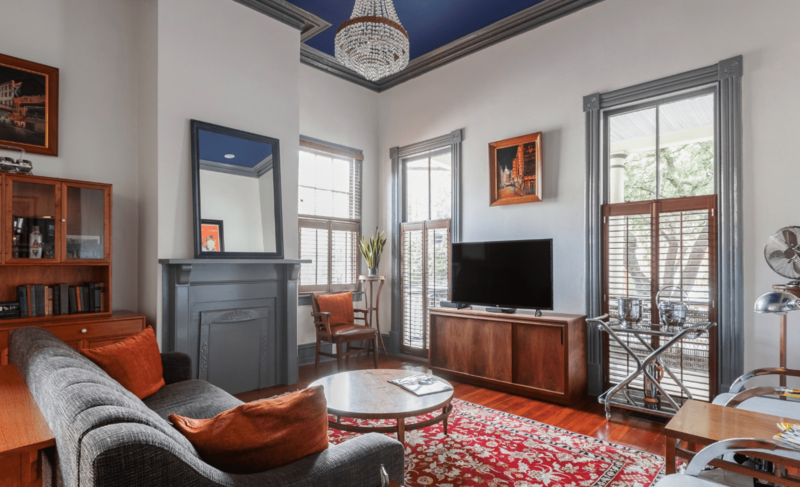 Featuring classic architecture, modern art pieces, and original architectural details from 1822, this Savannah Airbnb was redecorated in 2015 and is an architecture buff’s dream. 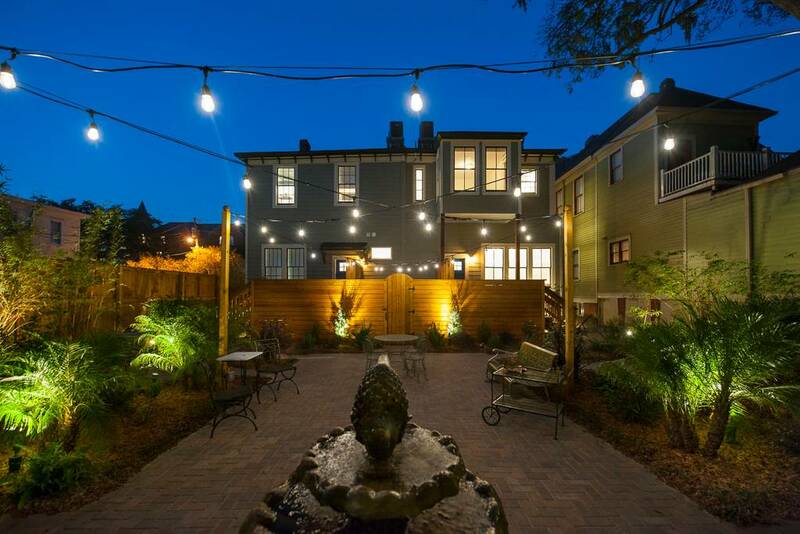 With enough formal dining seating for 20 and a back patio area, this is a great place for a girls’ getaway, bachelor or bachelorette party, or just a get-together with the locals. 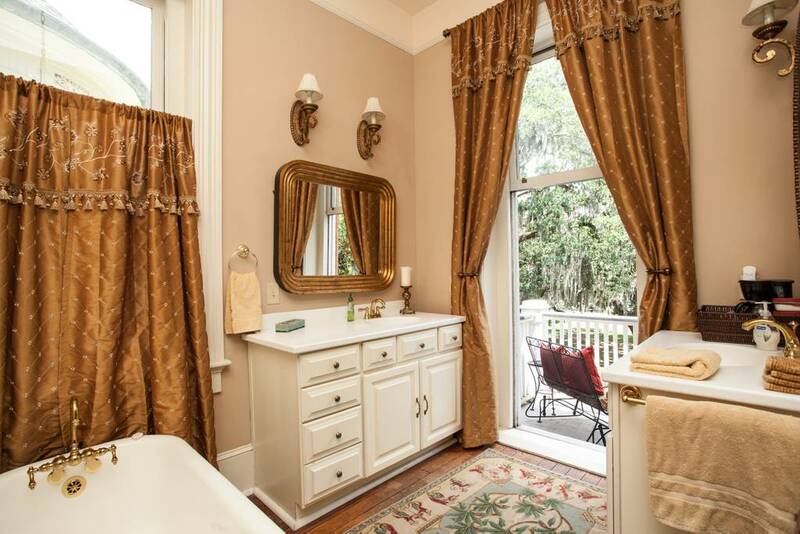 Spanish moss and a formal salon. It doesn’t get much more Savannah than that. 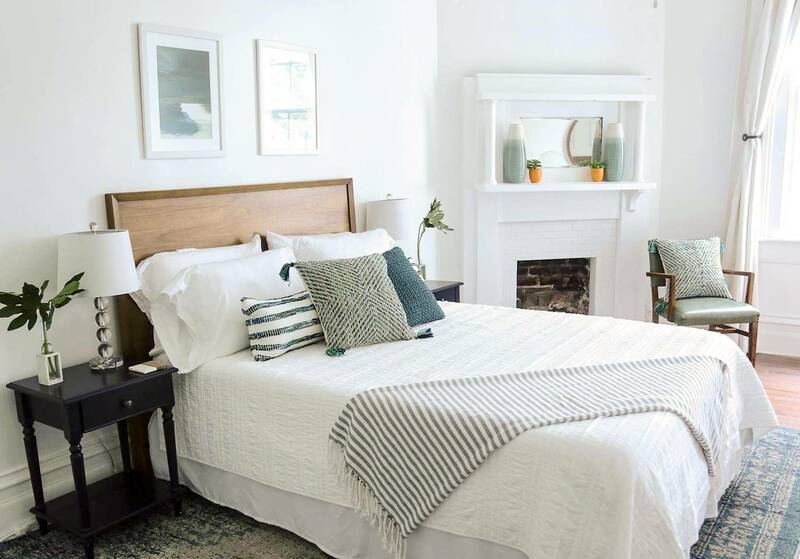 Los Robles, as this Airbnb is called, is the former home of a 19th-century rice baron and not only features elegant rooms and décor, but even a spa for body scrubs and massage therapy. 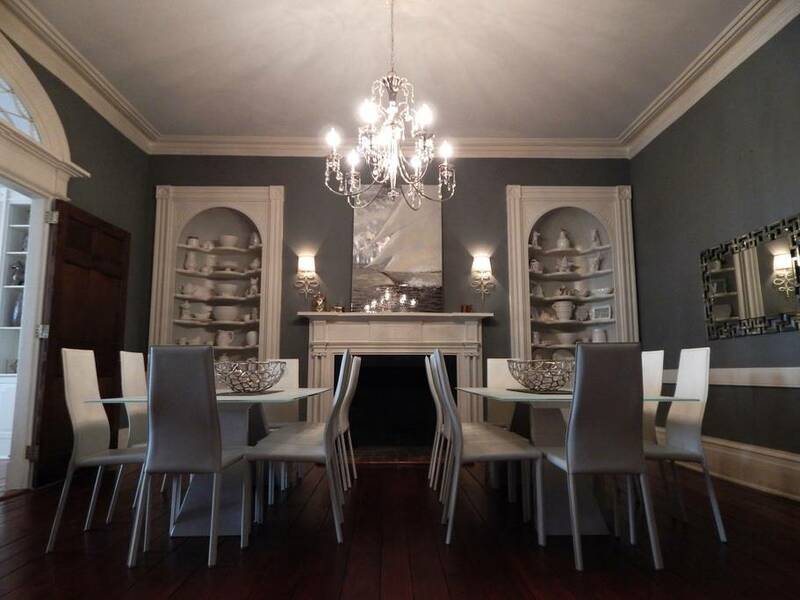 The hosts at this Savannah Airbnb offer a daily continental breakfast in the beautiful dining room and will even be there to meet you when you arrive. There are no kitchen privileges, but you will have access to two lovely outdoor sitting areas. There is also an incredible library as well as wifi and a workspace in case you need to get things done while you’re on vacation. 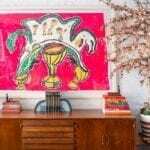 Combining a classic design aesthetic with modern art, this is one of those Airbnbs where there’s just always something to look at. 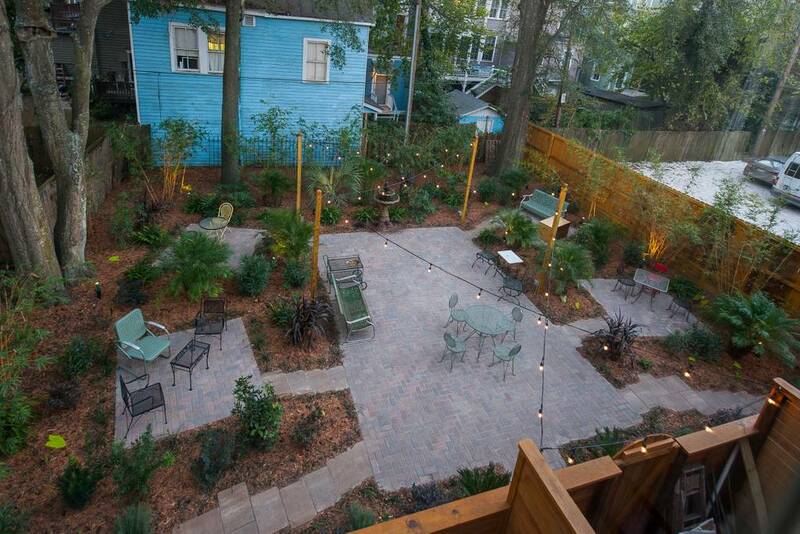 If all this Savannah Airbnb had going for it were the backyard it would be an incredible choice. 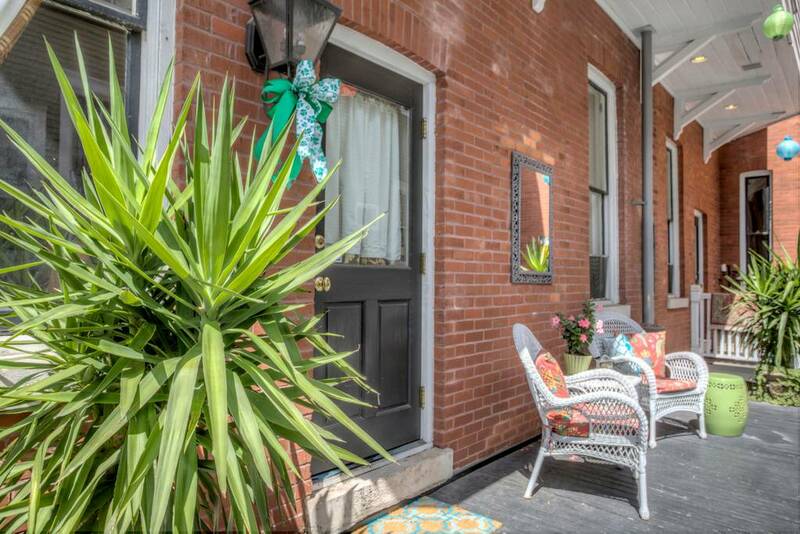 Come to think of it, if the adorable porch were the only thing this Airbnb had going for it, it will be an incredible choice. Of course, if the library with the day bed were the only thing this Airbnb had going for it, it would be a great choice. Actually, if that giant, modern kitchen were the only thing this Airbnb . . . well, you get the idea. 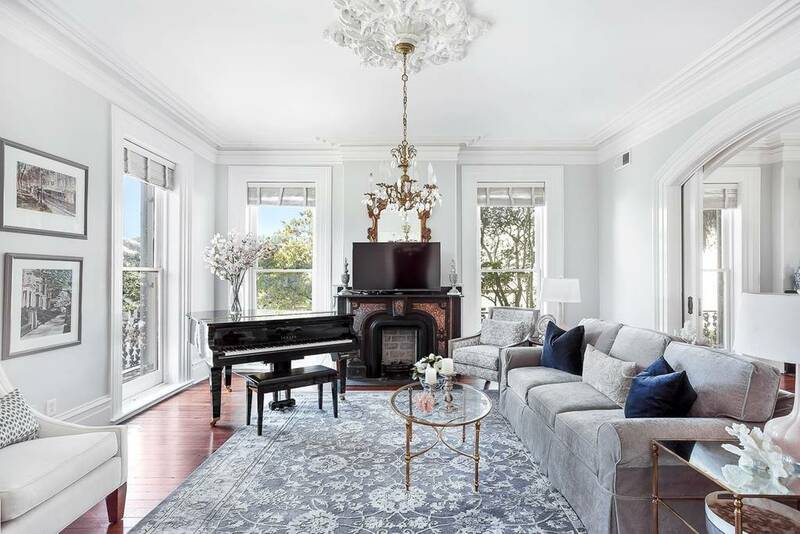 This two-bedroom, two-bath charmer sits right on the edge of Forsyth Park, which, if you’re not familiar with it, might be one of the most stunning parks in the country. 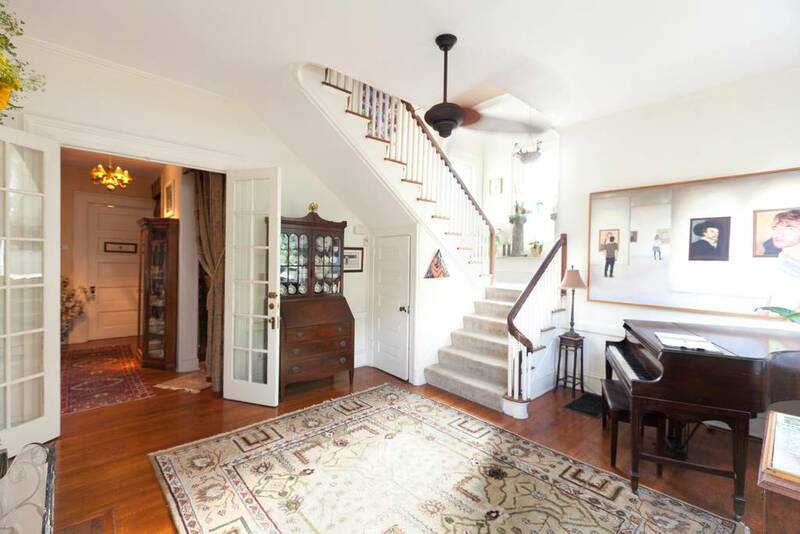 It has all the original pine floors, glorious 12-foot ceilings, and a great mix of vintage and modern design elements. With board games, video games, wifi, cable TV with 79 channels, an Amazon Fire TV Stick featuring Netflix and Amazon video, Pandora for music and Amazon Echo, you’ll be spoiled for choice of things to do. Just make sure you don’t end up spending your whole vacation inside! Serene, sophisticated, elegant, regal. 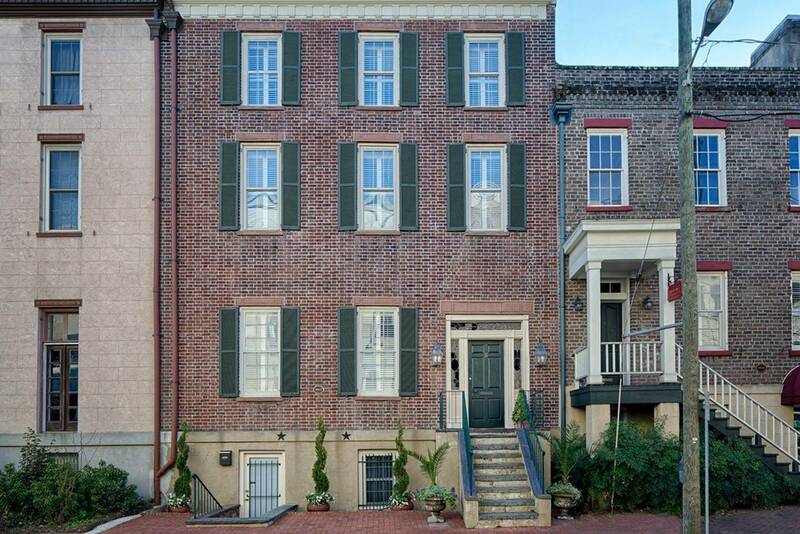 There are just a few words that describe this tasteful townhouse conveniently located right in the middle of town. 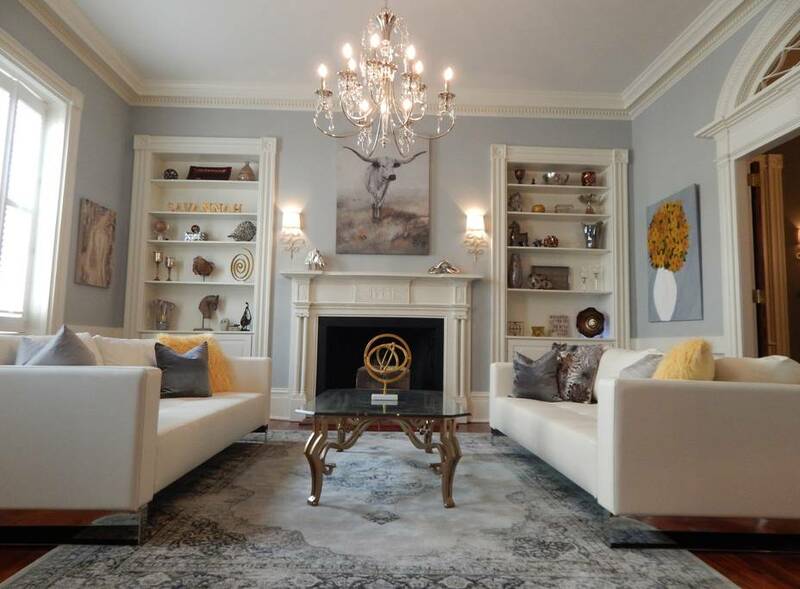 With beautifully appointed bedrooms, a parlor area, a lovely backyard sitting area, this place just has one gorgeous room after another and while the reviews rave about the home itself, former guests have even better things to say about the host. As Savannah’s sole chocolatier, this Airbnb host supplies not just things like linen and kitchen gadgets but yes, you guessed it: Chocolate!!! Not to mention wine! Not only that but he is also known for great advice about what to see in the city. 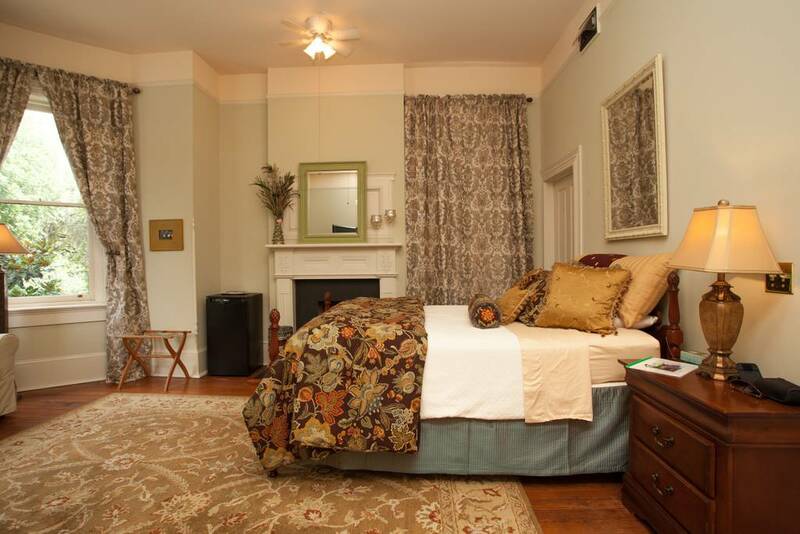 With two bedrooms, chocolate and wine this place would make a fantastic romantic getaway. Two words: lending library. 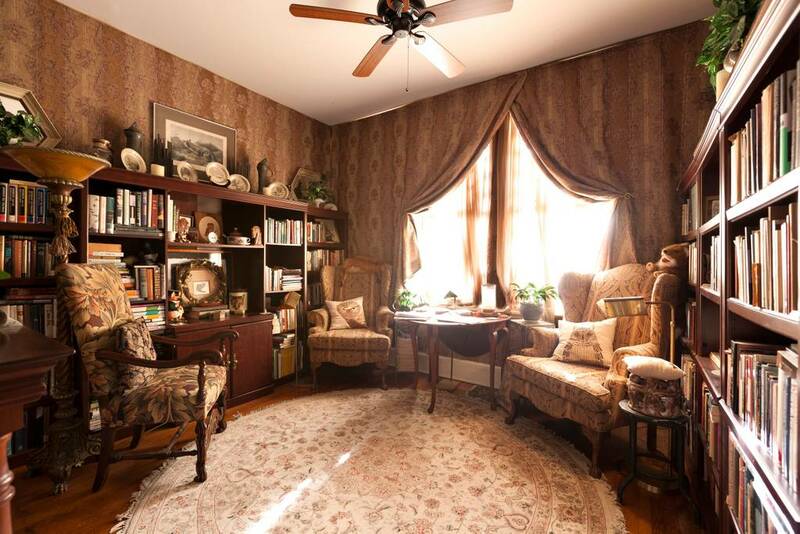 For those travelers who aren’t happy without a book, this is the Airbnb for you. Clean, sunny, and newly renovated, this happy little home has lots of cute elements like a little stained glass window, pine floors, 11-foot ceilings, a stunning backyard area with adorable patio lights and gas lanterns, a sweet front porch, and tons of crepe myrtle and oak trees. 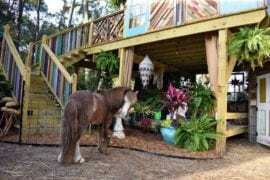 All of the art and furnishings are from local artists and companies so you can really feel like a true Savannahian! 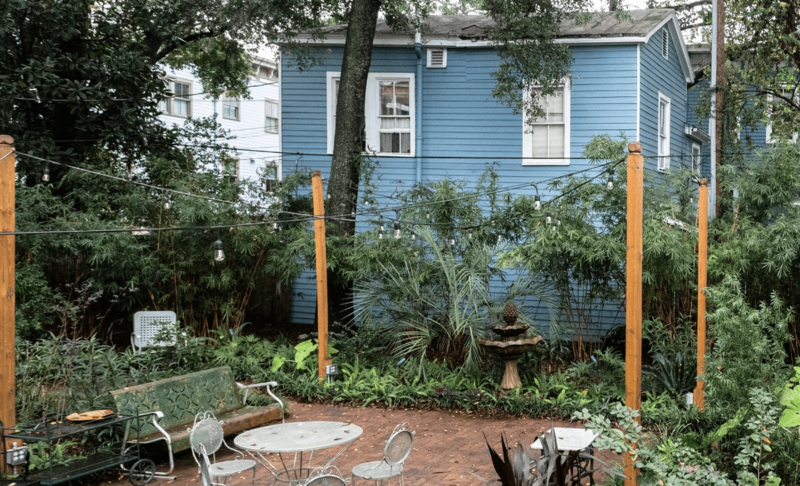 Known as “Tree Top,” this property is close to a “DOT” public transport stop, Forsyth Park, the Savannah College of Art and Design, and the Mercer Williams House Museum. And whatever you do, do not miss having a dinner at the incredible 700 Drayton Restaurant which not only has great food but a fantastic environment. Feeling down? 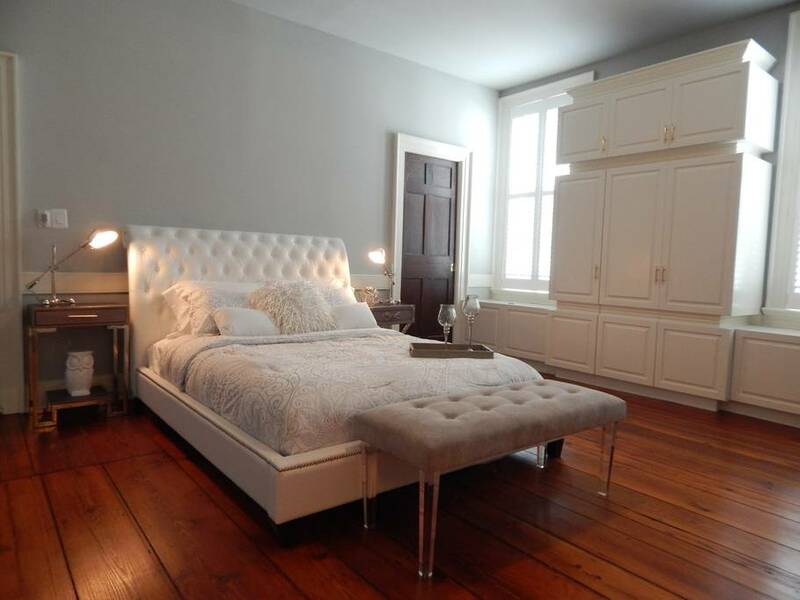 Rent this Savannah Airbnb and we can all but guarantee that your sprits will lift. 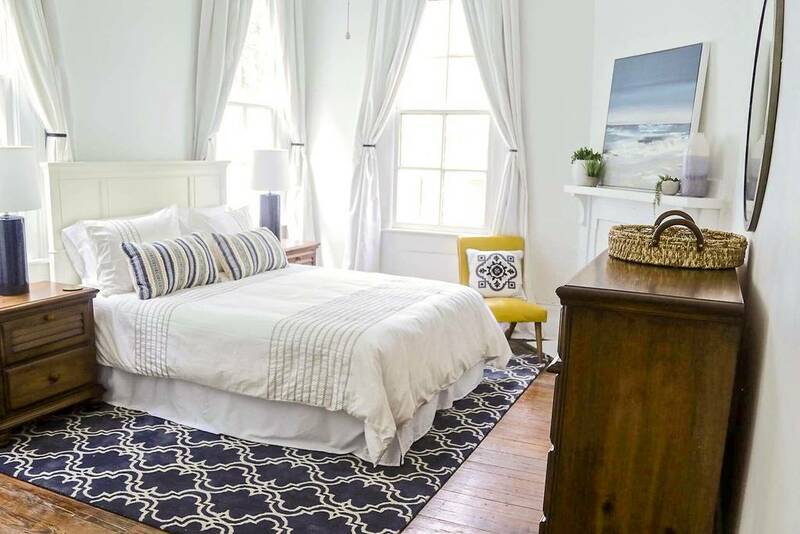 Light, sunny, clean, and undeniably happy, this Airbnb has to put you in a good mood. 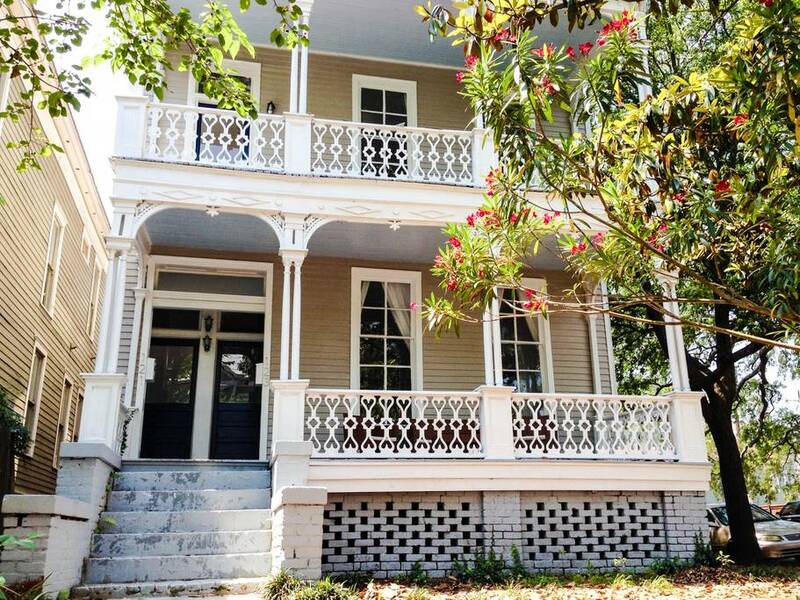 This completely renovated 1900 Victorian has a lovely porch from which you can watch the world of Savannah go by. 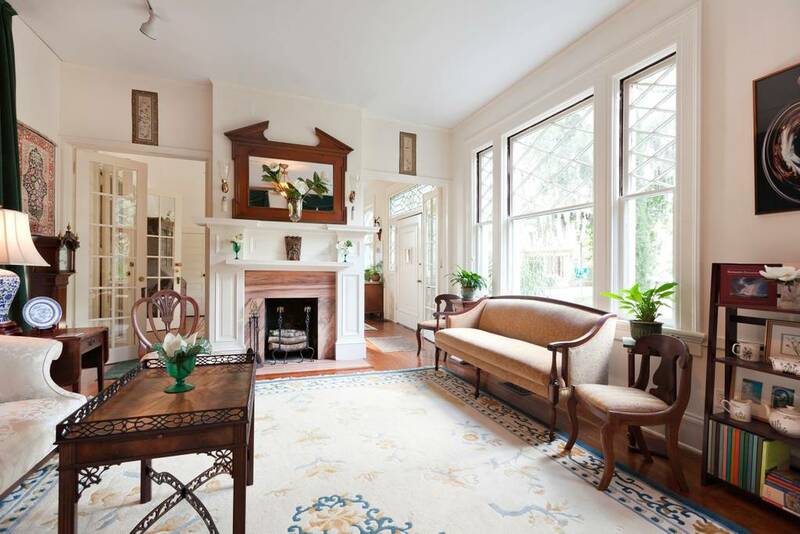 Like so many great classic Savannah properties, this one is close to Forsyth Park which will put you right in the middle of the city. While there’s an adorable blue and white kitchen, you should still try to get out and try some of the great area restaurants like Circa 1875 which has a stunning French feel and menu. Sandfly BBQ at the Streamliner is another Savannah restaurant with great food and an even cooler setting (it’s in an old dining car). Also be sure to check out the Prohibition Bar where the drinks are great and the oysters are a dollar (if you come at Happy Hour). Consider our pearls clutched! 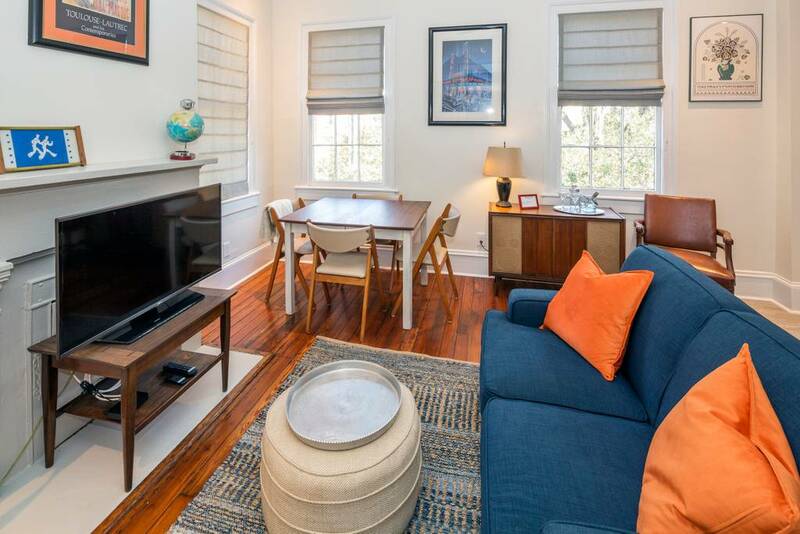 This wonderfully old-fashioned Savannah Airbnb may not be the hippest Airbnb out there but if you want classic Savannah, you’ve got it! Lilly’s Chambers as it’s known (could you die? 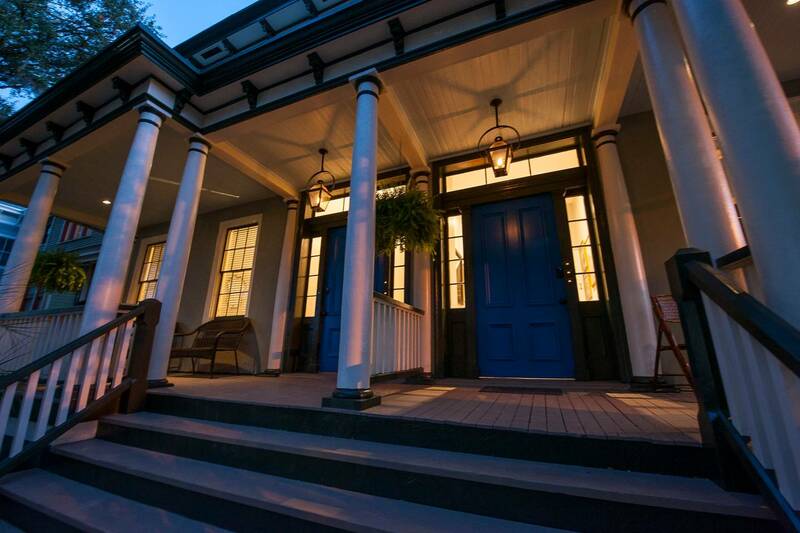 ), is an 1893 Victorian mansion that’s got everything you could ever want in a Southern mansion. 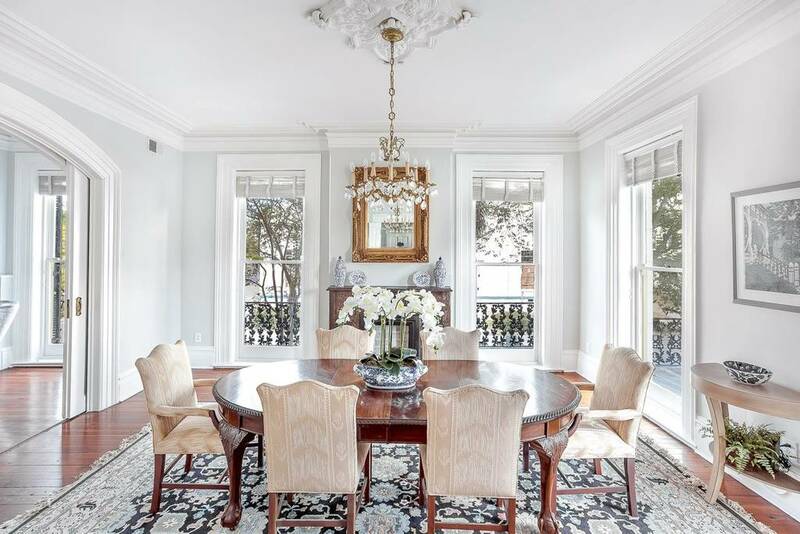 Bay windows, sash windows, views of Spanish moss, Mansard roofs, hardwood floors, and even a claw-foot tub! 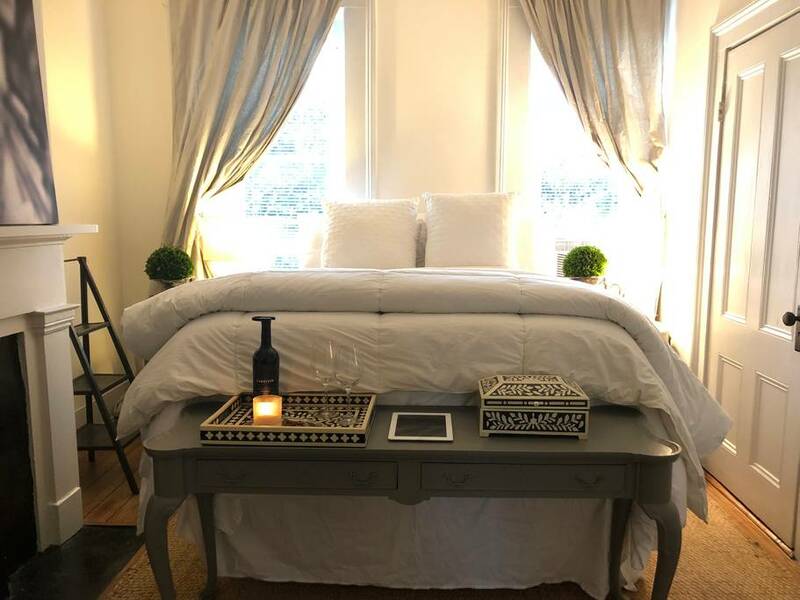 The bedrooms all have fine linen (and enough room for you to get ready for a cotillion in), and there’s even a little coffee station so you can pour yourself a cup of ambition right away. 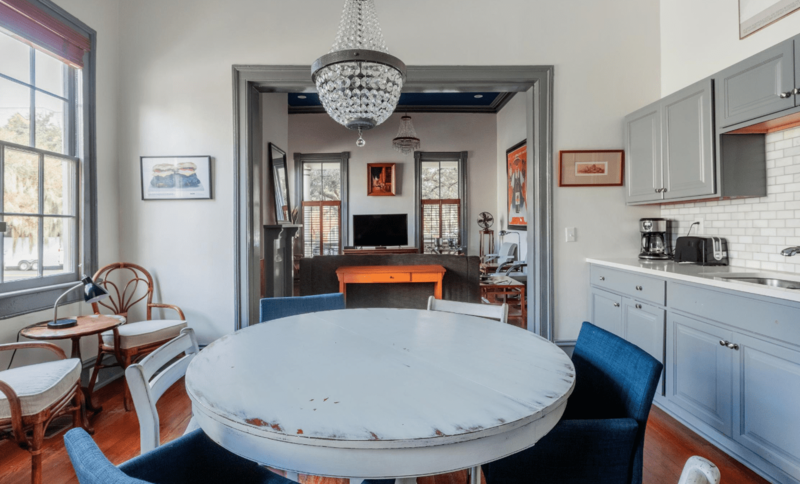 Once included in the 2013 Savannah Tour of Homes and Gardens, this Airbnb also happens to be the permanent home of the owner’s mother, so be sure to say hi to her when you see her in the kitchen! 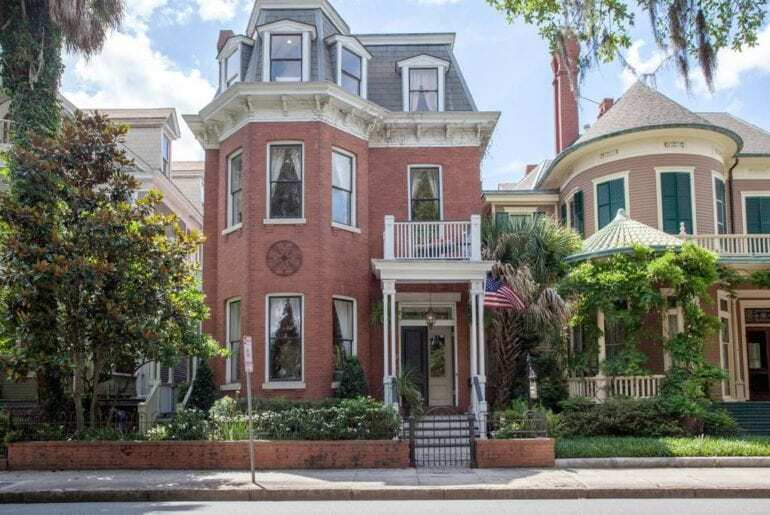 Sleeping up to 13 guests, this remarkable 1860 Savannah mansion is perfect whether you’re looking for a short- or long-term stay. 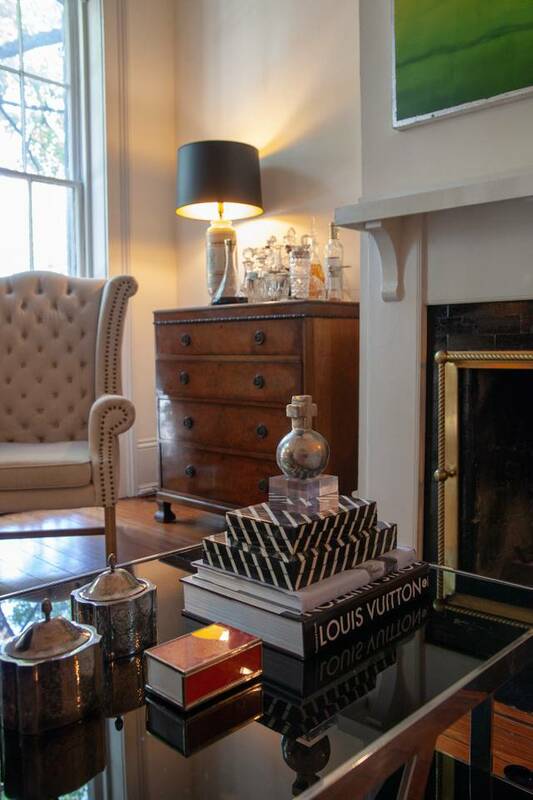 Grandly elegant, this Airbnb has original architectural details, stunning brick fireplaces, and the of kind of wood floors people pay thousands for. 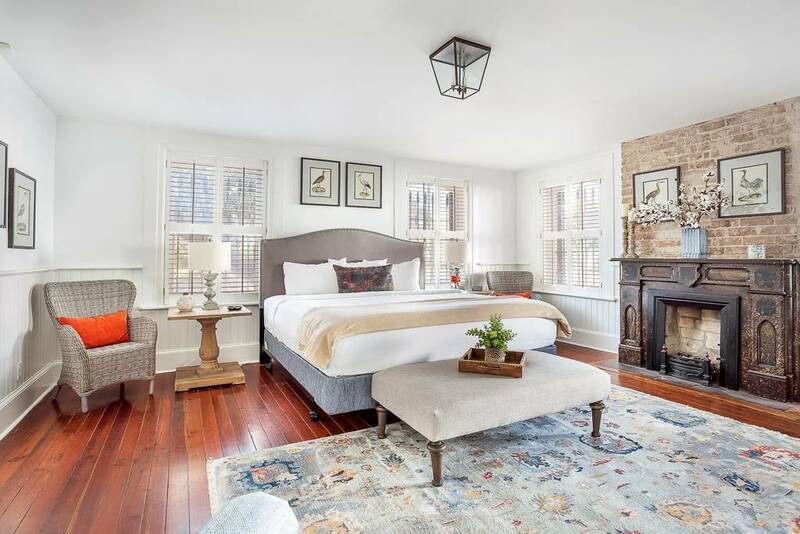 With five bedrooms and five baths you’ll have plenty of space and since you’ll be right on famed Broughton Street you’ll have plenty to see. The incredible two-story Paris Market is a great place for picking up French-themed gifts and antiques, the Savannah Bee Company is a fabulous place to pick up really fresh honey (like, the-hive-is-still-attached-fresh) as well as a great place to bring kids (they have a really cool play area for children and a mead bar in case said children start driving you insane), and Leopold’s Ice Cream is a beyond fabulous place to get a little snack. You’ll also be in close proximity to Cha Bella’s, a farm-to-table restaurant that serves some of the most interesting food combos you’ve ever heard of. Whatever you do, don’t forget to pick up some food at the Forsyth Farmers’ Market so you can cook something up and have a little dinner outside on the picture-perfect courtyard area.